Wow! Thanks for documenting all of this! Excellent resource. Impressive! Amazing dissertation with academic-like approach. You understand that Rev is part of the community too right? You may want to reconsider your statement. Victoria's Secret angels also have to fart sometimes. That doesn't make them less pretty. But probably noisy and smelly. This may be the post of the century. 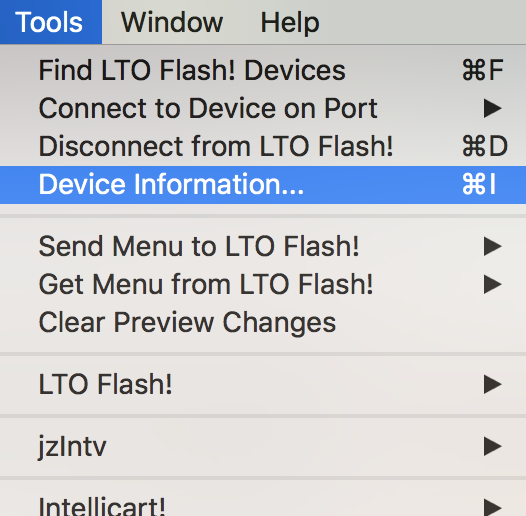 Change the LTO Flash ECS ROM enable policy to "Always" or "Compatible". 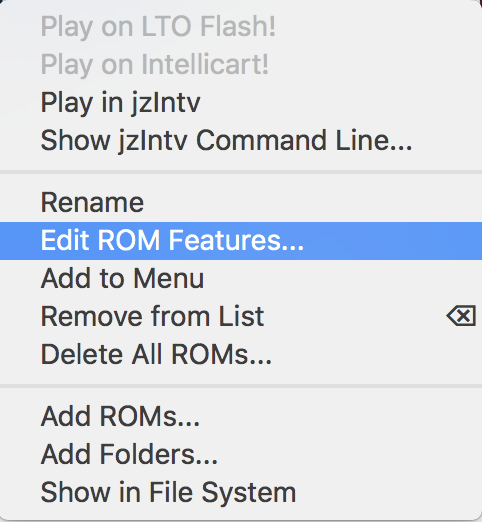 I prefer to change the ROM properties. If you set the LTO Flash ECS ROM enable policy to "Always" or "Compatible," then you have to navigate through that ECS title screen when playing other games such as, say, Astrosmash. I prefer to leave it set to "ECS Games," and then edit the ROM properties of specific titles as needed. OK... for the sleuths out there, I found the test in MTE-201. It looks for $28 in location $2FFC, and $CA in $10EB. I'm not quite sure what it does with that info, but that's the check it performs. $2FFC does not contain $0028 in either the WBEXEC or the ECS ROMs at this location. The only other hardware I know of at $2xxx is Coffee's EXEC. The test appears starting at $75EC in MTE-201 V3. Edited by intvnut, Sun Mar 31, 2019 3:15 PM. 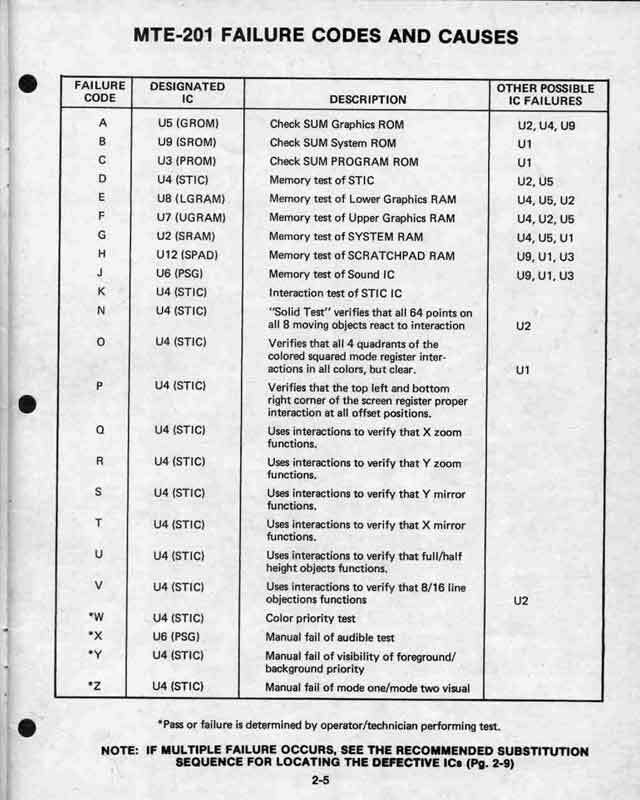 BTW, that customer procurement specification I linked above also has a STIC specification that's pretty detailed, along with specifications for other chips. It's a huge, fascinating document. The system test cartridge description starts on page 174 and is dated 5/7/1982. Also: According to the customer procurement specification, IMI stands for "Incoming Material Inspection." I'd never noticed that before! intvsteve has one of the described IMI units. It's a bizarre metal suitcase. Regarding the suitcase, I find the 3-way switch interesting. Test vs Checksum seems easy to figure out (short controller pins to look like 2+8 was pressed) but it sounds like there way also a way to bypass the tests and go straight to the game. 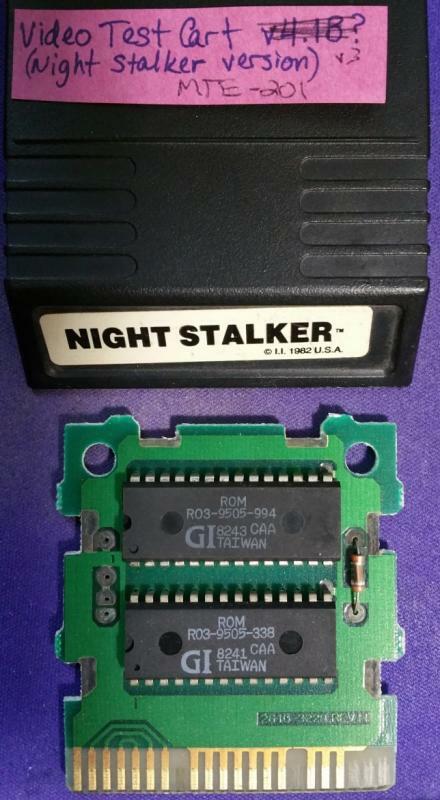 "I haven't traced the three-way Checksum/Game/Test switch circuitry in detail yet. I can say that in Checksum mode, one controller's pins are shorted such that the MTE-201 is forced into the Checksum test. It does not appear that a new test ROM variation is to be found here... A dump is necessary! 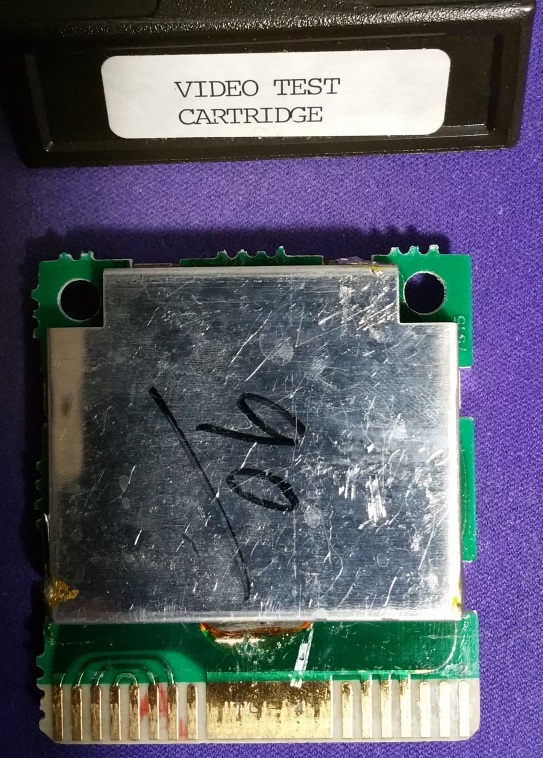 The Checksum/Game/Test switch also seems capable of switching which cart is used by shorting (or not) pin 37 of the MTE-201's cartridge port edge connector to pin 38 of the main connector. I haven't quite figured this out yet." 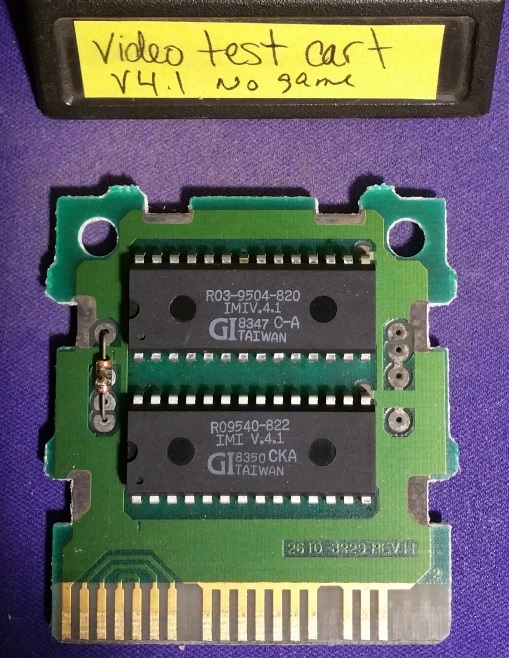 Pins 37 and 38 are the two copies of BDIR on the cartridge port. 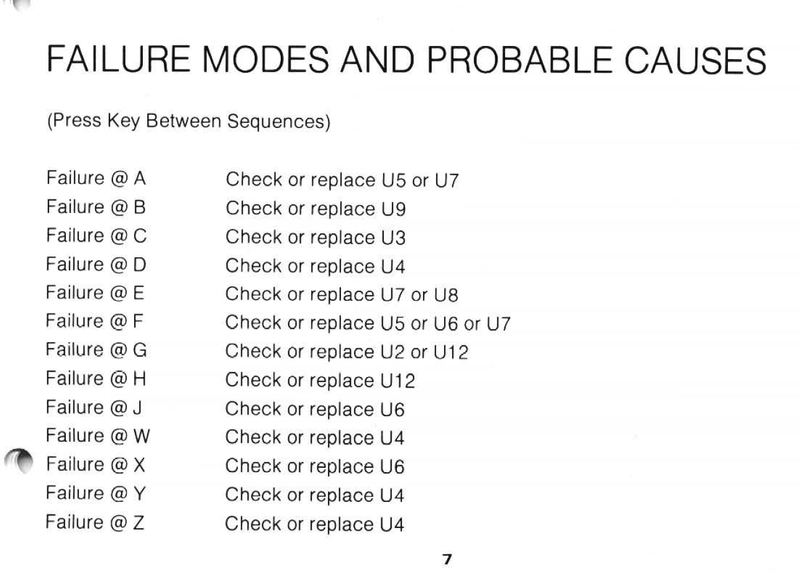 For the curious, this page describes the bus phases and the cartridge port wiring. Edited by intvnut, Sun Mar 31, 2019 5:53 PM. I recall knowing what IMI stood for at one time but total forgot recently. Thanks for reminding me. I added it above. Any ideas on what MTE stands for? I have guesses but documentation would be better. I'll have to add the suitcase above later. It's not a cartridge, but the MTE100 should be mentioned. That is really awesome. I had no idea this was hidden in there. Only the V3 has this code. It was removed in V3.3 and V4.1. I tried to decode what the code is doing but didn't figure it out in the limit time I had. As an alternative, I fed in data that the code expected. 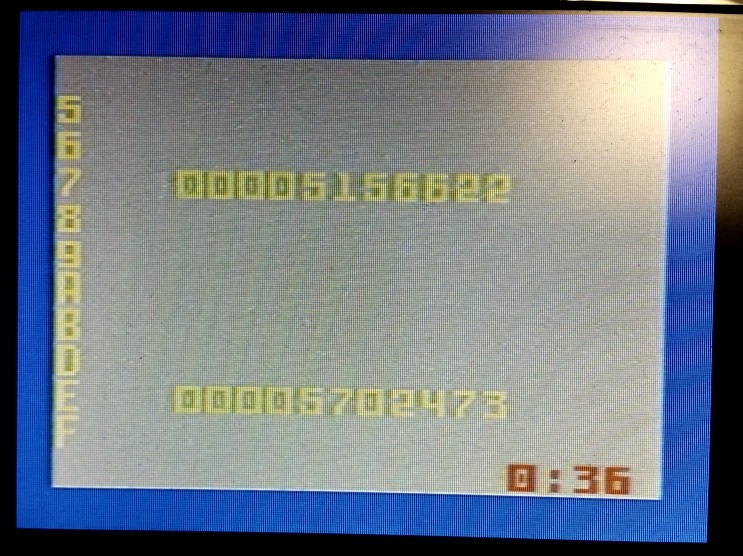 I extended MTE-201 ROM image to have a $2xxx with $2FFC set to $0028. Only making this change caused test M to fail (somewhat expected). Then I tried modifying $10EB to $00CA (and modified another value to offset the change in checksum value) but that resulted in test L failing (surprising). Then I changed $10EB back and then changed $1FFC to $0028 (and another value to compensate for the checksum) and this worked. By worked, I just mean that V3 simply stopped reporting failing tests and chips. Edit: I realized something as I stepped through the code in jzintv... the CMPI #$0028, R3 is not comparing $28 to what is stored at the address in R3, its comparing $28 to the value in R3 which is $2FFC. The BNEQ will always be taken. I was fooled by this as well. It looks like this is the remnants of left over dead code. Edit: The $2FFC check is done right in a 2nd place just a little bit below in what originally thought was dead code. However, setting a breakpoint at $761C works does hit the address. After inspecting the stack, what appears to be going on is that a separate block of code is loading an address from a table into R0 and then MOVR R0, R7 (MOVR is at address $7ABB, table at $7FEA to $7FFA) which is how the below code is even reached. At this point, I'm not ready to add this information above, unless you think adding the speculation on Coffee (Intellivision III) is strong enough. As an alternative explanation, do you think the checks might have been for an early internal version of the Intellivision II? 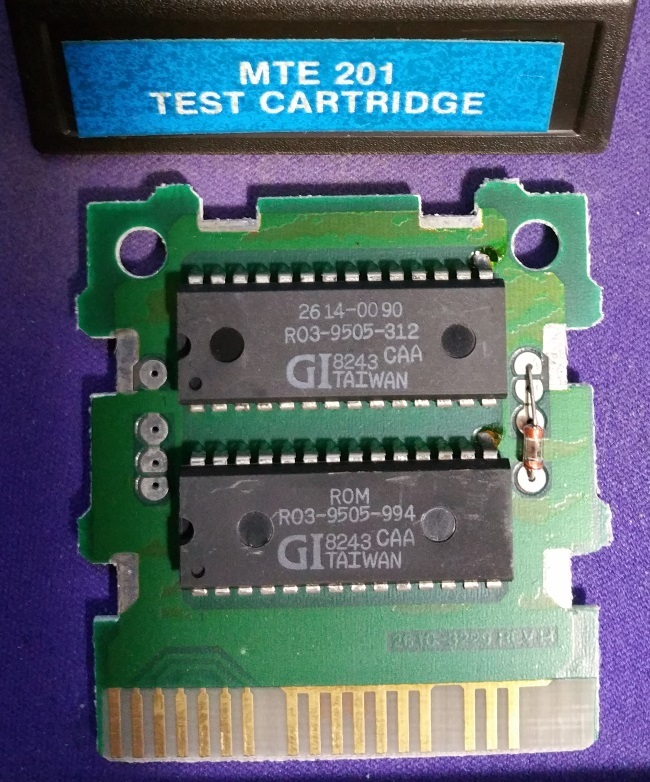 I think I see where I goofed: I overlooked that the MTE 100 has a cartridge slot. Thus, I misinterpreted that the "Game" position of the switch caused the built-in MTE-201 board to jump to the Baseball code. Dumber yet, I spent a couple hours looking at the V3 assembly code trying to find a way for some magic button combo on the controller to trigger jumping straight to the game. I do not know. 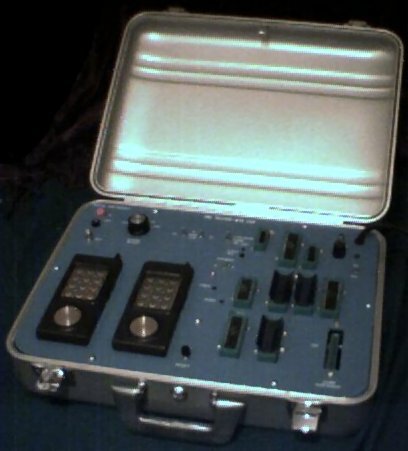 If I had to guess, I'd say "Mattel Test Equipment" or "Manufacturing Test Equipment." Now that would be a real trick! You'd have to prevent address $7xxx from getting sent to the cart, while allowing $5xxx. Oh wow, thank's for the additional sleuthing! I had dug into this particular weird $2FFC check before—I had detected it by doing a "read watch" on $2000 - $2FFF in jzIntv's debugger—but apparently I had found the "b0rken" version of the check when I looked at the disassembly. I first noticed this several years ago, and then sorta forgot about it until Don Daglow posted about overseeing Coffee's development on FB. It's weird that both versions—the b0rken test and a working test—are in the final ROM. Based on all of the memory maps I've seen from Papa Intellivision across a range of dates, I'm pretty certain that $2xxx was always reserved for Coffee and Lucky. The Intellivision II's revised EXEC did not ever occupy any of $2xxx. The German service manual, including usage of the MTE-201. I know of two of these to exist - one is mine, from where the PDF is made of and one is owned by another Intellivision Brotherhood member. Then I tried modifying $10EB to $00CA (and modified another value to offset the change in checksum value) but that resulted in test L failing (surprising). I hadn't gone back to see what "test L" was in the lists last night. When I did just now, I realized it wasn't in any of the lists. I did some further digging though: This looks to be an incorrectly written test for the Sears EXEC. The Sears EXEC has $28 at $1FFC, and $CA at $10EB. OK, so I went and changed the $2FFCs to $1FFCs, and I manually made the b0rken test at $75F1 succeed. Now MTE-201 passes 100% when provided the Sears EXEC. This wasn't a check for Intellivision III. It was an incorrectly implemented check for the Sears EXEC. While you were writing the 2nd post, I went looking around in V4.1 and found that the 2nd block of code ($7627) was corrected for the Sears EXEC but the 1st block ($75F7) was completely removed. 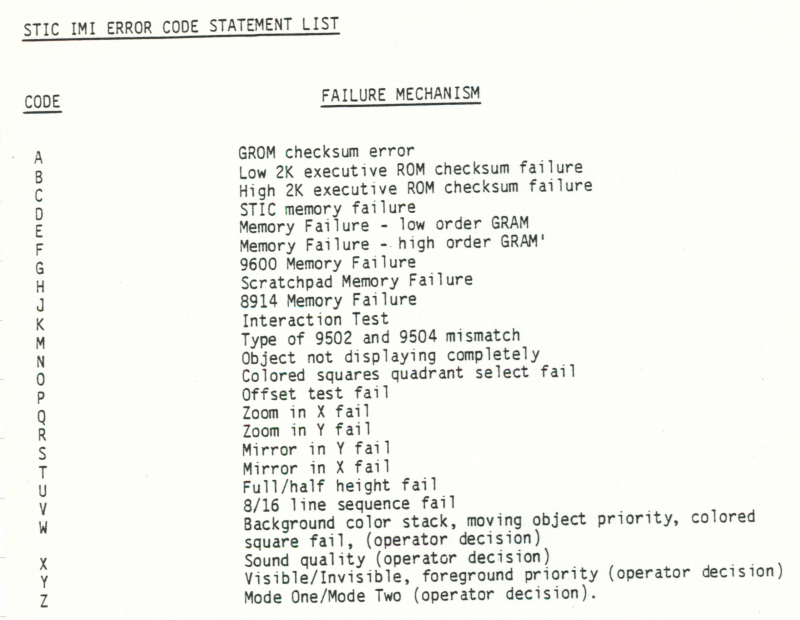 In a nutshell, I was about to post the same conclusion that V3's code was an incorrectly written test for the Sears EXEC. Joe probably already knows this, but I'll add the following for other readers. When looking at the disassembly for all the versions of the Test Cartridges, the code for all the versions is closely-related. It looks like the source code was handed down from version to version, with only some modifications and additions being added along the way (which makes business sense if you have the source code). Even V1 and V4.1 still have good-sized sections that look identical, once you ignore the shift address offsets for the branch and jump instructions. Indeed. If you look over the customer procurement specifications (CPS), they refer to various "patterns" that were to be delivered by GI for testing various components (and IIRC they were assigned numbers, perhaps CPS spec numbers). I can't find them just now. I suspect these were all intended to be assembly modules that could then be linked together to form the whole. It makes a lot of sense to me to structure the software this way.